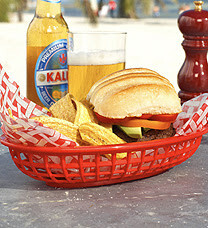 Do you have a Sur la Table near you? Do you get the catalog? It is a wonderful place and we just had one open very close to my house and I love going in and just checking things out. 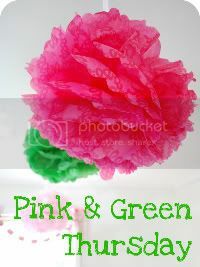 They have some fabulous things, and since I have a few things on my wish list I thought I would share them with you! If you don't get their catalog, request one, they have wonderful things for entertaining as well as for cooking up a great meal! These baskets would be perfect for up at the lake. We go through a lot of paper plates so that we don't have to spend so much time doing dishes, but I think these would work even better! Who can beat the price too at just $15! I don't think I even need to explain how wonderful this bag is. 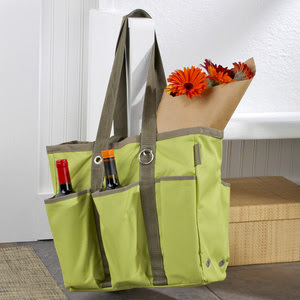 Perfect for a trip to Trader Joe's to pick up a few bottles of wine, a baguette, cheese and some flowers. What a great bag! I love serving ice cream after dinner for a BBQ. A nice vanilla with all kinds of toppings to pass and I think that this would look perfect set on the table and makes it really easy to pass and scoop so everyone can have the amount that they want! 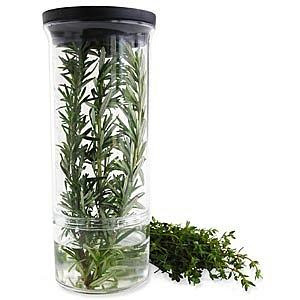 This is great for keeping the herbs that I am growing fresh. Sometimes I pick more than I can use, or I just need to weed through them a little bit so that they will grow a little more. Great finds! 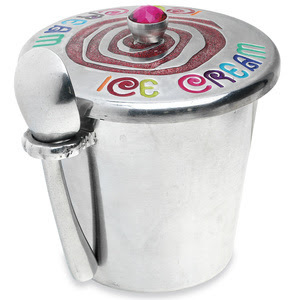 I saw that ice cream container at Home Goods recently .... so cute! I am in love with that bag!! It's so practical and yet so cute, I must own one right away! I love Sur la Table! That bag looks super handy!